It’s zucchini season! I think it’s a great time of year. Zucchini is so versatile. You gotta love a vegetable like that. It can be eaten in so many savory dishes, but I love that zucchini makes the most wonderful baked goods as well. Typically zucchini comes in abundance, but that’s the great thing about it…just more chances to try out all these wonderful recipe options! 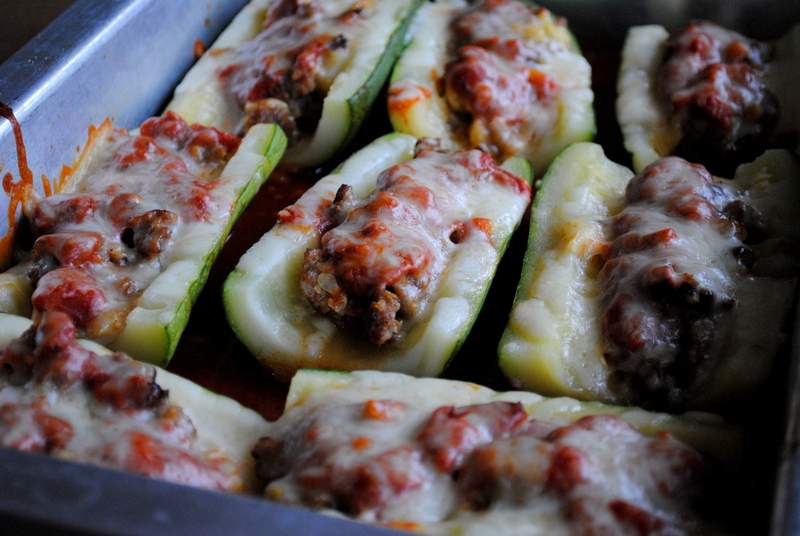 Here is one of my new favorites, Sausage Stuffed Zucchini. Really, can anything with sausage be bad? You know it can’t, so you’ll just have to try this. I made 2 trays of this, because in my opinion, if you are going to make anything, just make a big amount, and eat it twice. Who has time to cook every night? Especially when I’m making something that’s a little more work, I make a large batch. If you are really on the ball, brown the sausage ahead of time and that’s one less step you have at dinnertime. I will say, you can eat a lot of this. I think Mr. Chaos ate an entire zucchini, 4 pieces, I think I ate 3. All 3 of our kids gobbled this up. I hope you have a good source for zucchini. 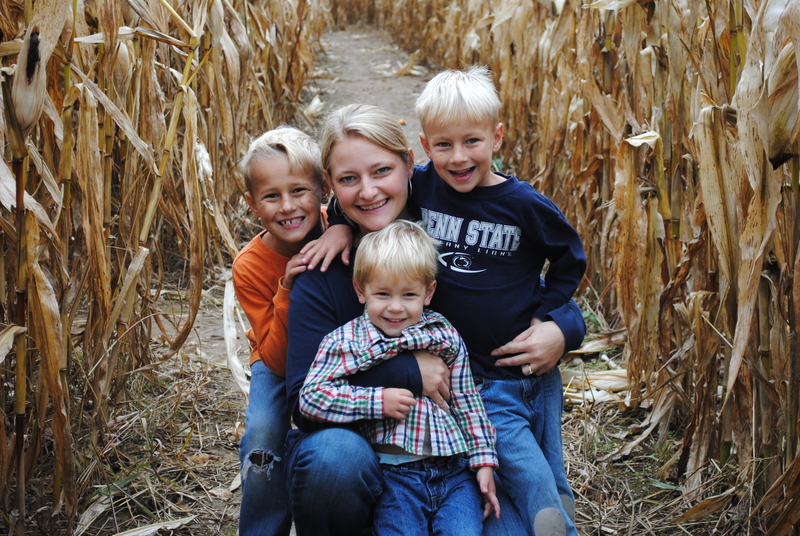 Either your own garden, a local vegetable stand or the grocery store. My sister hooks me up with my stash. There is a Mennonite road side stand near her house and they sell zucchini 2 for a $1. Um, doesn’t get much better than that! Spread 1/4 cup sauce in the bottom of each greased pan and place zucchini in pan, cut sides up. In large pan, brown sausage, breaking it into small pieces as it cooks; set aside. Place garlic in hot pan and cook for about a minute. Add chopped zucchini, season with salt and pepper and cook about 2-3 minutes. Combine with sausage and cook a couple more minutes. 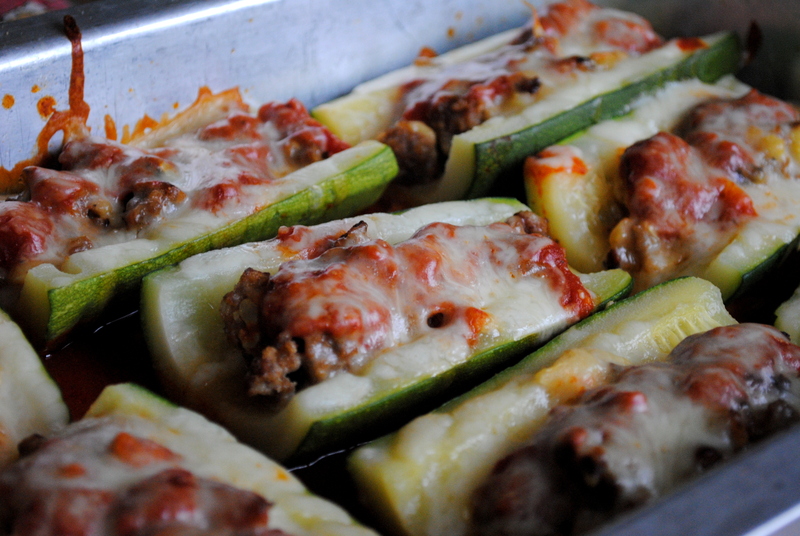 Fill each zucchini with sausage mixture, distributed evenly among each piece. Top sausage with a spoonful of tomato sauce. Sprinkle with Parmesan and mozzarella cheese to taste. Cover with foil and bake for 35 minutes until cheese is melted and zucchini is cooked through. I am so trying this tonight. I’ve shredded and frozen as much zucchini as my freezer can handle, and I think I have like 10 in the fridge right now! Made this again tonight!! Love this Becca! !